This is the most prestigious awards category open to individual members of the High Point Ireland community. To be considered for a Highpointeer of the Year award, entrants must provide photographic evidence of their visits to Gribbon locations during that year. There are currently three awards available in this category (Gold, Silver and Bronze). Find out more about the Highpointeer of the Year awards category. 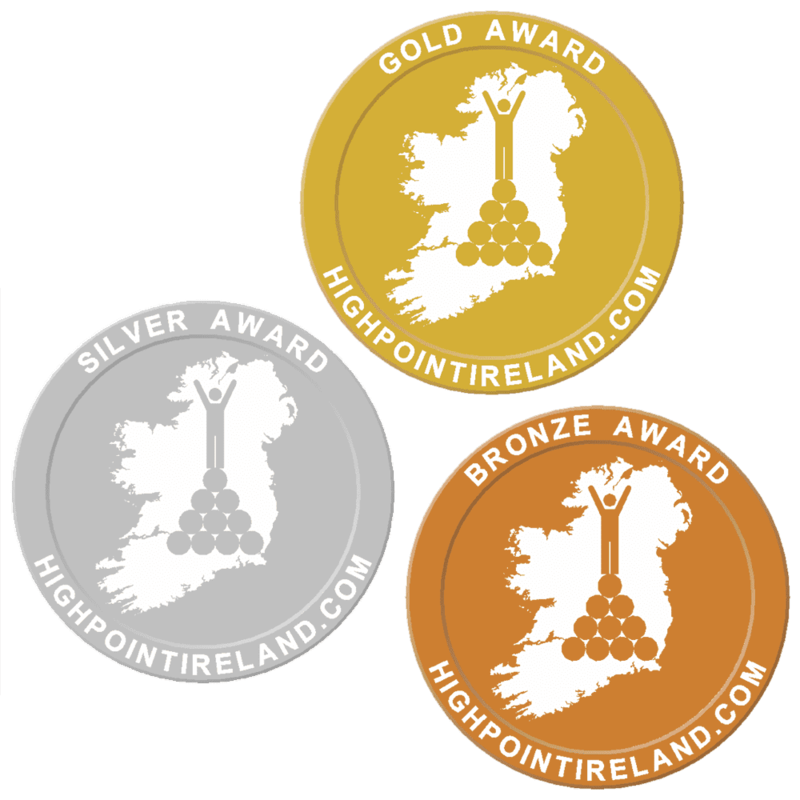 All contributors to the High Point Ireland website and its blog are automatically entered into this awards category. Contributors are scored based on word counts and the number of photos/videos they provide as content for Gribbon location webpages and blog articles during that year. There are currently three awards available in this category (Gold, Silver and Bronze). Find out more about the Contributor of the Year awards category. A Highpointeer who visits all locations on the Gribbon list, or on any of its 8 sub-lists, can request a Certificate of Completion (available as Gold, Silver and Bronze awards) at any time of year. Recipients of these awards will also be added to our Completers Register. Find out more about Certificates of Completion. Anyone who sets a new Highpointeering record can request a Certificate of Excellence bearing a Gold Award. Recipients of these awards will also be added to our Excellence Register. Find out more about Certificates of Excellence. 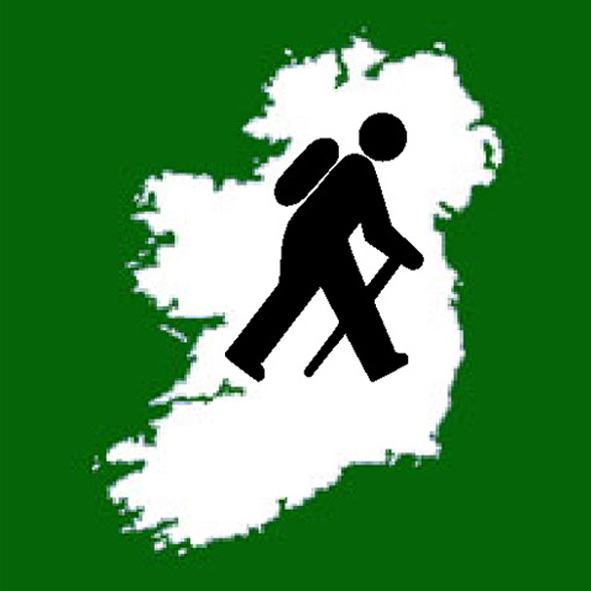 The Highpointeering Guide of the Year award category is our way of celebrating the accomplishments of walking guide services within the High Point Ireland community. To be considered for a Highpointeering Guide of the Year award, entrants must provide photographic evidence of their visits with clients to Gribbon locations during that year. There are currently three awards available in this category (Gold, Silver and Bronze). Find out more about the Highpointeering Guide of the Year awards category. The Highpointeering Club of the Year award category is our way of celebrating the accomplishments of walking clubs within the High Point Ireland community. To be considered for a Highpointeering Club of the Year award, entrants must provide photographic evidence of their club’s visits to Gribbon locations during that year There are currently three awards available in this category (Gold, Silver and Bronze). Find out more about the Highpointeering Club of the Year awards category. The Highpointeering Event of the Year award category is our way of celebrating recurring walking events which feature Gribbon locations. To be considered for a Highpointeering Event of the Year award, entrants must be active on Twitter and be willing to encourage their participants to tweet using specific hashtags There are currently three awards available in this category (Gold, Silver and Bronze). Find out more about the Highpinteering Event of the Year awards category. 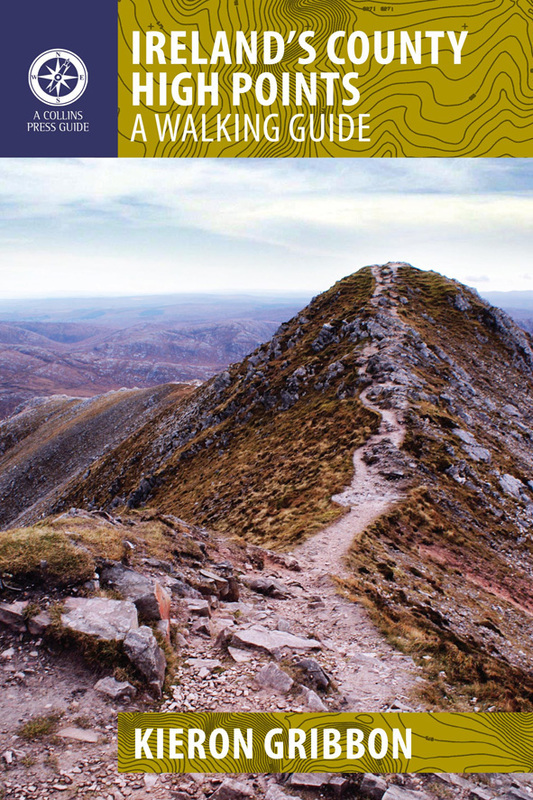 The guidebooks recommended on the High Point Ireland website all describe walking routes featuring Gribbon locations. Each year, one of these guidebooks will win Gold Awards for its author AND for its publisher. The winner will be the guidebook which registers the most sales on our Amazon Associates account. Find out more about the Guidebook of the Year award category. 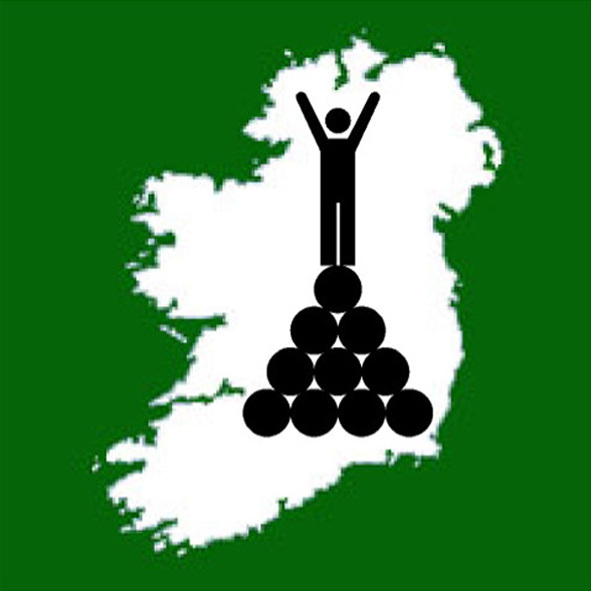 The maps recommended on the High Point Ireland website all feature Gribbon locations. Each year, one of these maps will win a Gold Award for its publisher. The winner will be the map which registers the most sales on our Amazon Associates account. Find out more about the Map of the Year award category. The photo books recommended on the High Point Ireland website all feature Gribbon locations. Each year, one of these photo books will win Gold Awards for its author AND for its publisher. The winner will be the photo book which registers the most sales on our Amazon Associates account. Find out more about the Photo Book of the Year award category.